There is a universal pull towards chocolate and peanut butter combined. I promise it is real, just like the universal pull that makes me fill my shopping cart at Target when I only went in for a couple of items. My husband loves when I go to Target. 😉 However, any recipe combining sweet decadent chocolate and creamy salty peanut butter is always okay. 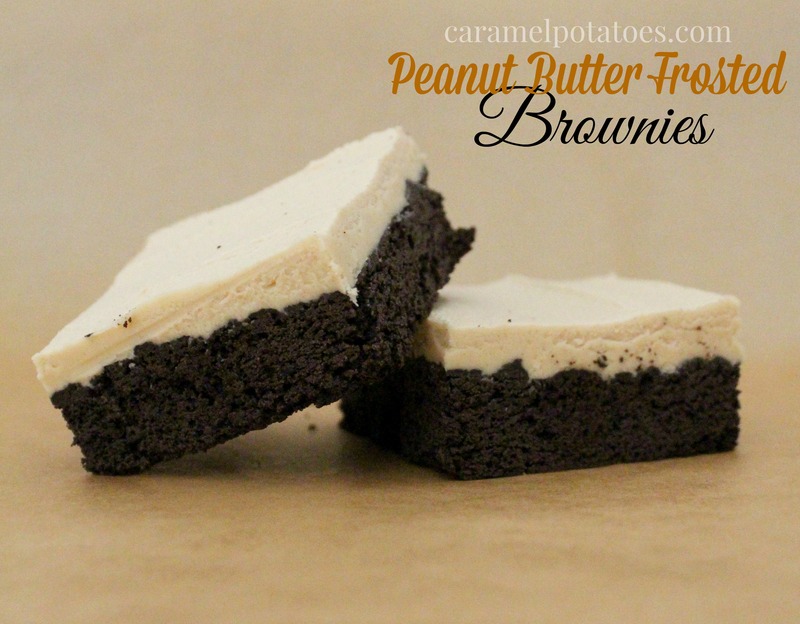 I dare you to eat just one bite of these amazing Peanut Butter Frosted Brownies, because as if peanut butter wasn’t enough, we have cream cheese in this frosting as well. Oh my!! 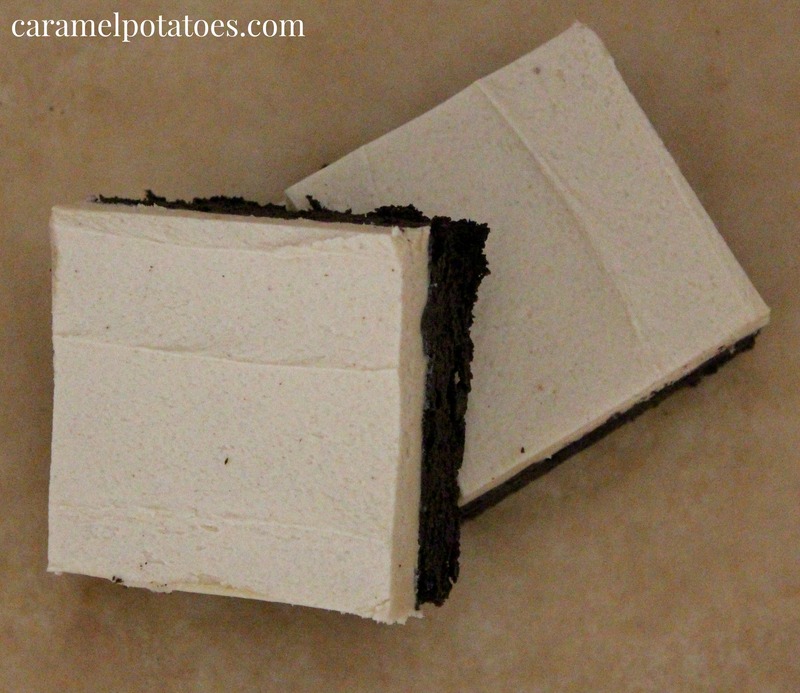 For the Brownies: Preheat oven to 350º. Line a 13 x 9 pan with foil, then spray with nonstick cooking spray. Set aside. In a large bowl, combine the sugars, butter and water with a whisk. Stir in the eggs and vanilla. Add the flour, cocoa powder, baking powder and salt, stir to combine. Evenly spread batter into prepared pan and bake 17-20 minutes, or until wooden toothpick inserted in center comes out slightly sticky. Cool completely on a wire rack. For the Frosting: Beat together the cream cheese, butter and peanut butter until smooth and creamy. Slowly add the powdered sugar until desired consistency and sweetness. Evenly spread over cooled brownies. Yummy!! I can’t wait to hear my roommate’s glee when I make these. I often make brownies with peanut butter swirled in the batter. Thanks Cathy. Any use of peanut butter and chocolate is a good day!